Whimsy and Parchment... : It's Monday - What Are You Reading? I was looking back over my blog recently and found that it was mostly reviews. Which is fine, because I think reviews are great and a way to share thoughts and think critically about books. I want to lighten things up a bit, though, and also *share* more, if that makes sense - so another weekly meme that caught my eye is the What Are You Reading meme. It's hosted by Kathryn over at The Book Date - feel free to shimmy on over there to check out what other people are reading! So, this is what I'm reading right now! First up is Outlander, by Diana Gabaldon! I'm actually quite liking this, it's not as fluffy and dramatic as I was expecting. Starts off a bit slow but I can appreciate the effort to immerse us in the world! 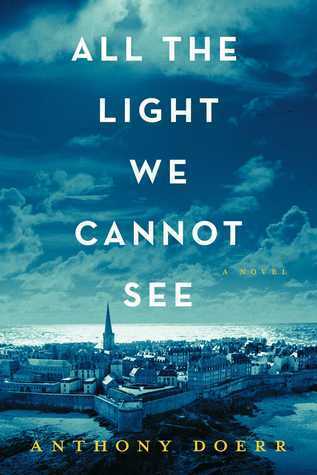 Also on the go is All The Light We Cannot See by Anthony Doerr. This one is interesting. The writing is very...lyrical, I guess you could say? I have a feeling it's one of those books that is slowly building up to the pay-off at the end. It completely draws you into the world that's been created, which I like. 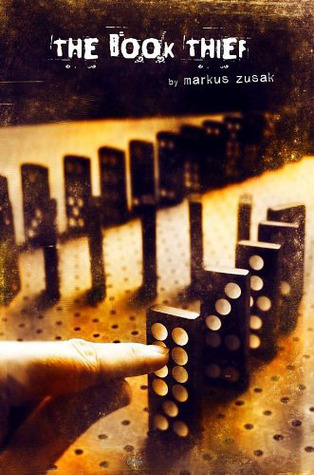 And this is the one other book I'm starting - The Book Thief, by Marcus Zusak. The way that this is written is so far not at all what I was expecting, but I'm hoping that I will like it! Also, I literally *just* realized what was going on on the cover - for some reason I completely missed that those were dice lined up. Passenger, by Alexandra Bracken. Unfortunately this one disappointed me. I have my review already up on GR, but I'll have it up over here in the next little while. The Book Of Negroes by Lawrence Hill. This book hits home - a very difficult read, but an important one all the same, I think. I don't have my reviews up anywhere but I'll be posting something on GR and over here in the next week or so. The 5th Wave, by Rick Yancey. I know, I know... I somehow haven't read this yet! I actually bought it about a year ago and just haven't picked it up. I have it sitting out at home so that I won't forget to read it. I'll See You In Paris, by Michelle Gable. This one is actually an ARC, due out on February 6th - I need to get on this to have it read in time! I loved both "All the Light We Cannot See" and "The Book Thief." 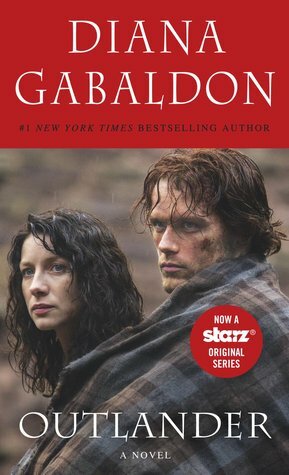 I have yet to read "Outlander," but it is sitting on my kindle, so I might dig into it when I'm on vacation in March. You will love both All The Light You Cannot See and The Book Thief.